Situated at an elevation of 1330m, a city with 5 million people. The capital of Nepal,Kathmandu. It is a town where there are more gods than people. Overwhelming Islam, 80% of the people belong to Hinduism, a religion which flowed from India. Across the Himalayas, Buddhism from Tibet constitutes a 10%. 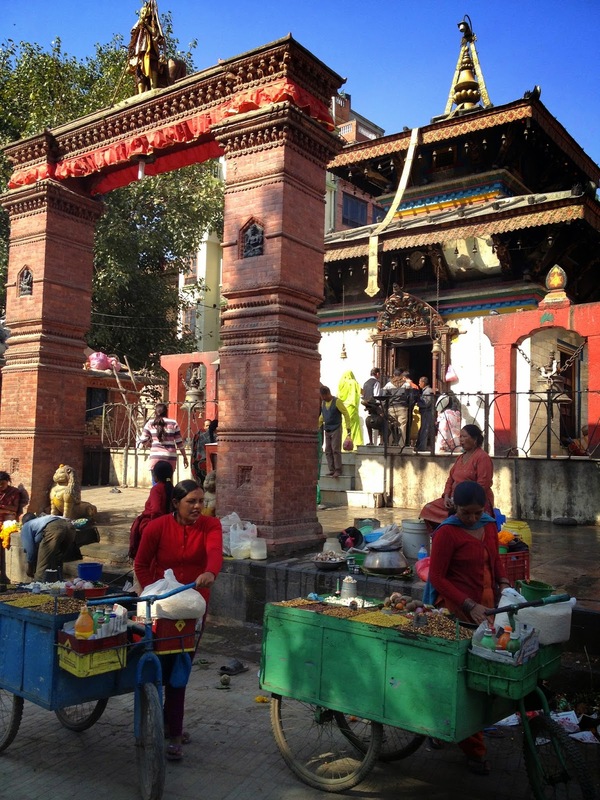 Indigenous faiths are also mixed together, forming a very unique Newar culture. 36 different communities reside together. The GDP per capita, at $650, is smaller than Tottori Prefecture and the country is considered to be one of the Least Developed Countries. Power outages happen often. The country functions like an old Switzerland, specializing in a mercenary industry which sends troops to overseas regularly. It is surrounded by great powers and hold mountain ranges which seem to serve as the roof of the world. However, a hot air is surging. The vulgar hustle and bustle of this city which I love so much is similar to Hanoi, Istanbul, Xian and Casablanca. As the population is bigger even when compared to Osaka, I can always feel a rush of energy gushing from this city. I visited a public school called Shree Rudrayanee Secondary School. Spectacular rice terraces appeared in front of my eyes, where mothers can be seen picking the harvests. At the other side, the white continuous summits of the Himalaya Mountain can be seen. Walking through the village and the gates where 260 kids aged 4 to 16 are greeting me enthusiastically, I began to realize that the building looked like it was going to collapse and it had poor facilities. However, the children were all dressed in fine English-style uniforms, with striped neckties and black leather shoes. They all spoke in English. It seems that public schools in Nepal are like this. They looked straight into my eyes without worries. They looked at me using the computer as if they had never seen anything like that before. Thank you everyone for playing together with me. Thank you for the 2 year-old Sanjey who ate my business cards. Let us meet again somewhere, sometime.